Merkur is an exceptional brand which is made in Germany known for its premium quality shaving equipment. One of its most innovative products are the Merkur safety razors. The first safety razor was patented during the late 1800s, yes that long ago! 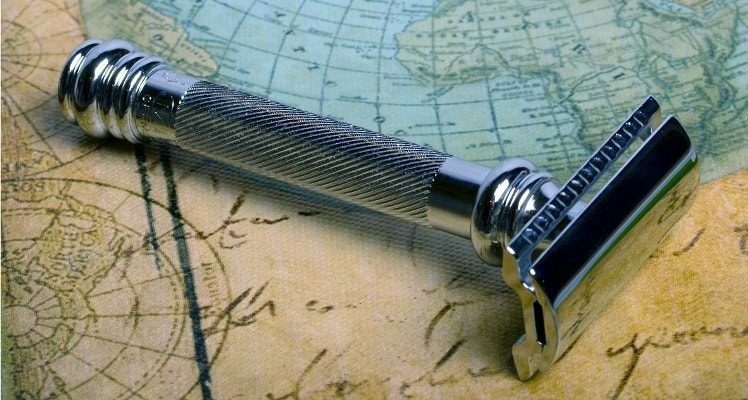 Since the first safety razor was patented more than 200 years ago, safety razors gave evolved in various aspects such as material, design, features, style & the various different brands of manufacturers. Every brand has its own signature touch and so does Merkur. Merkur has also conducted several upgrades to its very first safety razor’s engineering using improved materials, finish and styling. It has also maintained an exceptional line of innovatively designed razors with varying strengths to suit to the dynamic needs of shaving enthusiasts. It revived its brand identity with premium platinum blades for its completely metal razors. Merkur has always been associated with offering a rich experience to its users with its comfortable, well-balanced and ergonomic designs for quality shaving equipment. They have understood the needs of shavers to implement elements for making the ultimate shaving tool. Unlike most other premium manufacturers, Merkur safety razors come in various shapes, sizes and forms such as two piece, three piece, adjustable, open comb, safety bar, long handle, chrome, gold tone, etc. We will review four of the top selling models of Merkur razors. 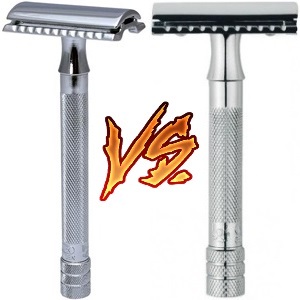 Take a quick few minutes to find out which Merkur Razor is best for you from this detailed, comparison based review of the Merkur safety razors 23c vs 33c vs 34c vs 38c. MK-23C Light & Long 3.87 in. Check price 2.12 oz. MK-33C Compact 3.01 in. Check price 1.98 oz. MK-34C Classic Heavy Duty 3.04 in. Check price 2.72 oz. MK-38C Heavyweight & Long 3.79 in. Check price 3.92 oz. 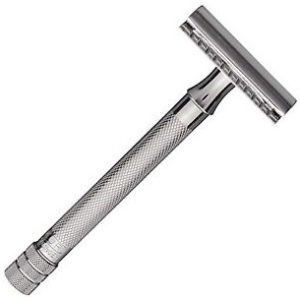 The Merkur long handled safety razor is known in the product line as the Merkur Futur 23C. The specialty of this Merkur model is needless to say – the long handle! 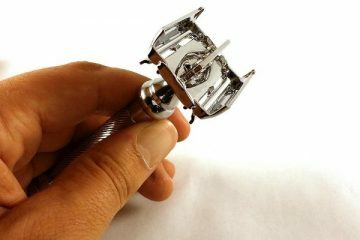 The safety razor is an ultimate long handled safety razor for man-sized or in other words, even for the largest of hands. The four inch long handle gives you a comfortable hold with a safe & secure grip. As for those with smaller or normal sized hands, they would also enjoy the hold, grip and feel provided by its long handle. The Merkur Futur 23C comes with the double edge feature allowing maximum hair removal with the perfect blade for a nice & clean shave. The excellent design with its chrome finish gives it the premium look it demands for its premium performance. It is among the most aggressive of all the double edge safety razors manufactured by Merkur. It is also one of the most popular and bestselling models in the Merkur premium double edge safety razor line. It is also known with the nickname of the Merkur 180. The extra-long handle has a knurled grip with a straight bar, closed comb head to deliver amazingly comfortable shaves without the slightest of chance for any razor burns. The Merkur Futur 23C long handled safety razor is a top-quality shaving tool which is an absolute essential for any man’s home or travel kit. The lightweight 3-piece safety razor weighing 2.12 ounces and its 4 inch long handle gives ultimate control and comfort to users. It has a strong presence in your hands giving you confidence to let it perform its best. The weight of this premium shaving equipment allows you to easily slide through your skin without the need for extra force or pressure to be applied. The stellar chrome finish throughout the unit makes it a stylish looking razor which is sleek yet simple. Get more than a decent shave with the Merkur 180! The long handle of this Merkur safety may be its biggest strength and even the biggest weakness! This is because of the varying preferences of shavers. Some will love the length of the unit, while others may not be impressed preferring a much smaller handle. MERKUR Stahlwaren GmbH & Co. is a leading global manufacturer of quality shaving equipment. They have been in business since 1906 and the Merkur line of premium products are a subsidiary of DOVO Solingen Steelware. DOVO is headquartered in Solingen, Germany focused upon manufacturing premium quality men’s grooming equipment such as razors, scissors and manicure tools. 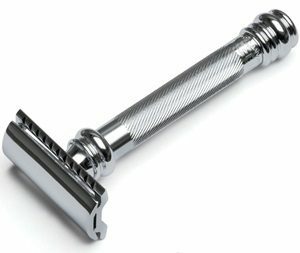 The Merkur 33C is a classic Merkur 3-Piece double edge safety razor which a traditional length handle with similarly knurled grip. It is designed for those prefer a shorter handle length for more comfortable control in their hands. The safety razor comes in a straight bar with a closed comb head and complete chrome finish for finesse look. The Merkur 33C is basically a shorter handled version of the Merkur 23C. One of the most basic rule of thumb for using safety razors is the angle which is about 30-degrees angle. No extra pressure is needed as the weight of the razor allows you to move smoothly across your skin. The double edge technology used also helps in preventing irritation and razor bumps. This Merkur double edge safety razor is capable of giving the closest shave and it is compatible with recyclable double edge razor blades which are inexpensive and effective. It delivers upon the Merkur promise of precision instruments which are built to last a lifetime. The Merkur 33C is has a nice design, it is durable and very easy to clean. The closed-comb straight bar head makes it very easy to use and it has a standard fixed blade gap. The handle is fairly long at just 3 inches making it easy to control and the knurled design makes it easy to grip. It is from an excellent line of products by Merkur which are made of the best qualify raw materials that are proven for their quality and stylish approved performance for an incredibly close & clean shave. The chrome finish for the metal body with premium blades make it a top choice for shavers. While the Merkur 23C was designed for those preferring a longer handle for comfort and disappointing those with the preference for a shorter handle. The Merkur 33C does the exact opposite by providing the same safety razor with a traditional length handle. The Merkur 34C is the classic 2 piece double edge safety razor. Merkur is known for its ability to offer the perfect razor for every beard and face type. With this particularly designed shaving tool for specific face & beard types, it is able to ensure the best and most effective clean shave for its users. The 34C by Merkur is a heavy duty double edge razor which comes in a short yet sturdy handle. The thick, heavy duty handle is built for comfort with a non-slip knurled grip. Weighing just 2.72 ounces, its popularity comes from head design with its short & thick handle. Making it a small yet powerful tool for delivering a comfortable shave most suitable to be used by beginners. 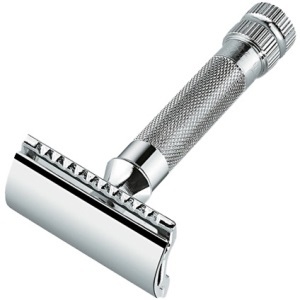 It is the same classic design which has been the trademark of Merkur since the company was established back in 1906. The heavy head design with short handle gives it perfect maneuverability. It does all the work for you using standard double edge razor blades. 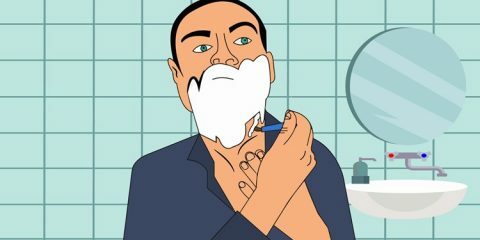 Both experts and beginners must get in the habit of holding the razor at an approximate 30-degree angle for the best shave. Whether you apply lather or not, you will enjoy working with the razor’s weight on your skin. It promises to give the closest shave without the tiniest of cuts and zero skin irritation. 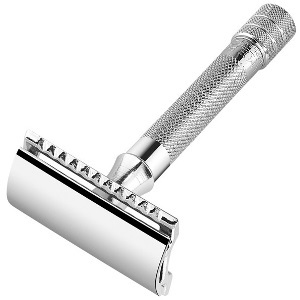 The classic 2 piece double edge safety razor in the form of the Merkur 34C is an instant hit! It’s light in weight and has a short handle. It is very compact offering the best of control for even the awkward of places to shave. While long handles are easier to hold, with a little bit of practice the shorter & thicker handle offer better control. The 34C is definitely one of the best of Merkur double edge safety razors amid its 2 piece products. It offers precise hair removal and the unit itself is very durable, so it heavy duty indeed. It comes in smooth stainless matte finish making it an attractive option as well. The heavy duty Merkur 34C is far too light in comparison to other heavy duty double edge safety razors. Just a little bit more weight would give it the perfect balance it lacks at present. But this is only when looking for a lacking in a perfectly fine equipment. Merkur has for over a century been one of the most premium manufacturers of shaving equipment globally. In its rich history it has made a name in the industry by offering the right fit of a razor for every face and beard. Regardless of a clean shave or the perfect shape, Merkur premium products such as the 38C classic 2 piece double edge safety razor will get your desired result. This is the highest standards of shaving culture on offer by a manufacturer. Merkur 38C Double Edge safety Razor with its Heavy Duty handle has a solid brass core. The model is known as the Barber Pole due to its heavy & long handle. Interestingly, it follows the American barber pole design with spiral etching for the most sure grip, even when wet. The razor has an overall weight of just four ounces with a handle length of almost four inches. It is perfectly built with robust and long handle and a healthy overall unit weight. Whether you have large hands or normal to small hands, you will feel the power when you hold it. The weight lets you glide through your skin while removing the toughest or the thickest hair easily. The 38C has all the best features of the Merkur variations we have discussed in one. It has a closed comb straight bar head with a decent weight and a long & thick handle. The best of both worlds is on offer by this heavy duty razor as long as you maintain that safe 30 degree angle for the perfect shave. The bulky handle with the American barber pole etching gives it an excellent look and supreme grip. All standard double edge razor blades can be used with this unit for getting the closest and cleanest shave anywhere with ease. Truly, a complete Merkur product which does not fail to impress in any aspect of its design, handling, comfort or performance. The Merkur 38C can only be better if it came with another free razor offer. It is an absolute complete safety razor with all the features necessary for an expert. While it also offers the confidence for beginners to start shaving with a double edge safety razor without risking cuts and irritation. 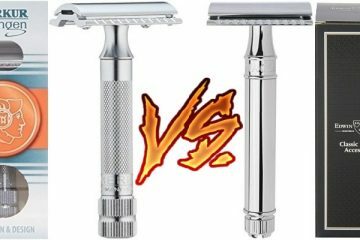 Let’s look at a head to head comparison between each of the four Merkur razors to see the particular advantages of one over the other model. The Merkur Futur 23C is a premium double edge safety razor with an extra-long handle. It is a lightweight 3 piece safety razor which weighs in at just 2.12 ounces. With its 4 inch extra-long handle, it is one of the lightest 3 piece safety razors making it ideal for professional as well as personal users. The Merkur 33C is a slight variation of the 23C. It has all the features of the 23C but it appeals to those who are not fans of the extra-long handle of the 23C. The Merkur 33C double edge safety razor is also a 3 piece unit yet it is much more compact with a handle that is one inch shorter than the 23C. As a result, it also weighs in at just under 2 ounces. The 23C is one of the most lightweight double edge safety razors with an extra-long handle. The 34C is on the heavier side although just a little less than an ounce with a shorter handle. They are contrasting style safety razors for those who have different preferences between a short and a long handle. The weight difference is minimal and will not vary in the performance. The 23C by Merkur is a 3 piece unit which is more popular due to its long handle. But the 2 piece unit of the 34C is popular as it offers a bit more weight to work with. Double edge safety razors have an advantage with more weight as shavers can maneuver the weight for a close shave without applying extra pressure on their skin. The 23C 3 piece double edge safety razor is the polar opposite of the 38C 2 piece heavy duty double edge safety razor. 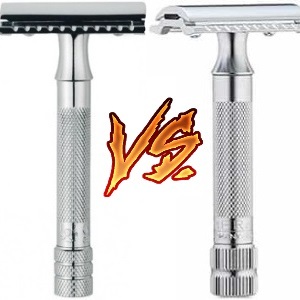 The only similarity between the two is that they both have extra-long handles for users who prefer their shaving tool with a large grip. The weight of the 38C is almost double of the weight of the 23C. So for shavers who prefer long handled safety razors, both are perfect choice for larger hand grip and easy control. 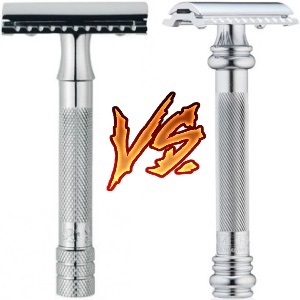 But since the weight of the 23C is half of that of the 38C, most expert safety razor users will prefer the heavy duty performance of the 38C in comparison. The 38C is also the editor’s choice for the best razor amongst the four models by Merkur. The 33C is one of the lightest and most compact double edge safety razors on this list by Merkur. Similar to it, the 34C is also a compact version but it is a heavy duty double edge safety razor. The weight difference between the two is less than 1 ounce despite the 33C being a 3 piece unit compared to the 2 piece 34C. Both have the traditional length handle at around the size of 3 inches. The 33C by Merkur is a compact version of the lightweight safety razor and the 34C is the compact version among the heavy duty safety razors. 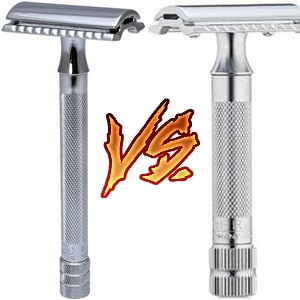 So they are similar razors in two different styles of preferences for shavers. The 33C is most appropriate for beginners and the 34C is more appropriate for more advanced double edge safety razor shavers. While the Merkur 33C is a shorter handled version of the 23C. The 38C in contrast is both heavy weight and comes in an extra-long bulky handle. Also, the 33C is a 3 piece razor and the 38C is a 2 piece razor. 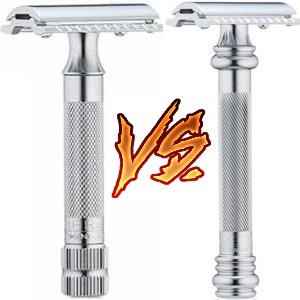 Both are premium quality double edge safety razors but the main difference is in the weight and length of the units. 38C is a heavy duty safety razor while the 33C is a compact and lighter weight option. The 33C and the 38C by Merkur are also exact opposites as one offers heavy duty performance while the 33C offers compact & lightweight performance. The handle on the 38C is a sturdy long one with angled etching design for a sure grip while the 33C has short handle with a standard grip. The 34C by Merkur is a heavy duty double edge razor which is fairly light but comes in a traditional length bulky handle. While the thick, heavy duty handle is built sturdily, the unit is very light at just 2.72 ounces. Although a heavy duty razor, it falls short in the overall unit weight make it an imbalanced unit in comparison to the Merkur 38C. The Merkur 38C has all the best features of all the four Merkur models. It is closest in design and features to the 34C with a closed comb straight bar head and being a 2 piece unit. 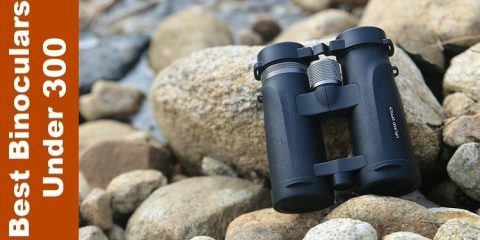 But it weighs in at almost 4 ounces making it truly heavy duty with an extra-long handle of almost 4 inches, which is over an inch longer than the 34C. What made Merkur one of the best safety razor brands? So let’s look at some of other exceptional manufacturer characteristics which make Merkur the very best in what they do! The rich history of the Merkur brand is definitely a reason for it be one of the best safety razor brands in the world today. Merkur is the wing which specifically manufactures the razors and it is the partner of the parent company Dovo which deals with razors in addition to scissors and knives. Regardless, this German giant manufacturer was founded as Solingen in 1906 and has since been in existence as one of the oldest manufacturers of safety razors, amidst the likes of other global brands as Gillette and Parker. Its premium quality ensures that it exports more than 75% of its products globally. Merkur offers one of the widest variety in its product line for users worldwide. There are tons of various types of safety razors available in the Merkur collection. The variations in Merkur razors are not limited to just for beginners and experts. The types of the safety razors range from the handle sizes of extra-long to short and in between sizes of traditional lengths as well. Razors vary in functionality based on beard types such as curly beard, straight beard, thin beard, thick beard, etc. there are also variations in razors for specific skin types such as special ones for sensitive skin. In addition, there are various weight in the units, as well as razors with varying razor head weights. Razor head variations also exist in the form of closed comb and open comb heads. This massive array of variations have allowed for it to become the best choice of shavers from all parts of the world with various different needs and requirements. Merkur safety razors also have various types of handles to suit each user. The handle variations are not just limited to the length of the handle. Rather the width and the grip also have distinctive differences. The grip etching has variations such as the American barber pole etching, the normal vertical etching, etc. Handles also vary in their thickness and length. While the length helps users with larger or smaller than normal hands, the thickness of the handles are for those who prefer to hold a particular size for a sure grip. Merkur razors offer the surest grip for every user with its dynamic handle designs. So, Merkur offers interesting and a much more expansive product line than its competitors. From the variety of its head styles ranging from a straight safety bar, open comb, or slant bar, to the variety of handles from 2 piece, 3 piece, and adjustable razors. In addition to this, Merkur also offers some of the most exquisite finishing. The chrome finishing definitely the most popular choice among its users but it also offers variants of chrome finish. There are shiny polish, non-shiny ones, satin finish etc. All the choices are available for enthusiasts of Merkur. Yes as expected, Merkur has always focused on offering all of its users with their preferred type of shaving experience through all of its products. Users are not only assured of a close shave every time but they are also ensured that their skin sensitivity is taken into consideration for a cut free and injury free shaving experience. The deal is well set and the promise is fulfilled by Merkur to prove itself as the best in the industry. The German crafted shaving tools are in every essence an engineering excellence in the industry. Whether it’s the balance of the razor, the precision cut, the distribution of the unit weight, the traction of the blade, the alignment and consistency are all truly worthy of praise. The perfect tools allow shavers to use the tool appropriately to its perfection. Being a reputed and over century old company, Merkur has a sense of worth associated with its pricing strategy. Every user is satisfied with every purchase for the price, the product and its service. so whatever you spend on a Merkur product, it ensures satisfaction through its best in class products with lifetime durability. Which model you should go for? All the Merkur double edge safety razor models that we have thoroughly discussed here are excellent choices for your particular needs. So you will be able to choose one which is most appropriate for your face and beard type. But generally speaking, there are advantages of one over the other as shown in the head to head comparison between the 23C vs 33C vs 34C vs 38C. 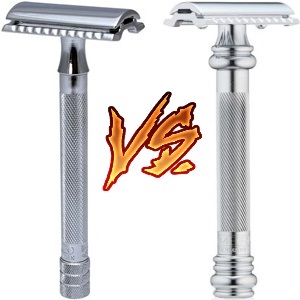 To put all queries to rest, our choice among the four is the Merkur 38C safety razor! The Merkur 38C heavy Duty Barber Pole double edge Safety Razor allows you to easily install a sharp razor when needed just by flipping it open. Shaving experience with this heavy duty razor will definitely be one of the best shaves. It is one of the models which has gotten most the manufacturer’s attention over the years. It delivers the best of all the Merkur razors we have discussed here today. The complete review of the Merkur double edge safety razor product line was designed to give our readers a 360 degree understanding of each razor. Merkur, as we have discussed repeatedly throughout the review, is an outstanding manufacturer with premium quality shaving tools for over a century. This German brand is a leader in the shaving tool industry. Hopefully, for those of you who are looking to get their hands on a safety razor will find help through our review of the Merkur safety razors. Also, we hope our recommended choice will prove to be excellent for a great shaving experience. Merkur is an excellent brand to explore to find the perfect tool for your best shaving experience. But for now, we recommend you to try the Merkur 38C 2-Piece Heavy Duty Double Edge Safety Razor to get the best shave for your money!